The number of women in the UK claiming Jobseeker’s Allowance has reached a near 15-year high, and experts expect public sector cuts will keep levels rising. According to the Office for National Statistics the numbers claiming job-related benefits rose, although the overall level of unemployment in the UK dropped by 17,000 to 2.48 million. The so-called claimant count increased by 700 last month to 1.45 million, including 462,300 women, the highest figures since October 1996. Vicky Redwood, an economist at Capital Economics, pointed out that public sector cuts have not even “got going”. Women make up three quarters of the public sector workforce, according to TUC General Secretary Brendan Barber. 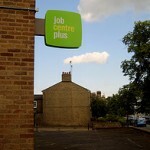 Employment Minister Chris Grayling said the fall in unemployment was welcome. I predict an enormous rise in unemployment rates for women post March. I am one of these ‘statistics’ – my job was made redundant at the end of March because of public sector cuts. The injustice of this cuts to the quick, and it has been made worse by the unbelievable ineptitude of the benefits system, and unhelpful and sullen attitudes of most Job Centre Plus staff when I applied for JSA. I have been left feeling I am somehow to blame for having no job at the moment, and have to keep reminding myself that all these redundancies are a direct consequence of irresponsible and amoral bankers and the ideological aims of the government to destroy the public sector – and along with this destroy thousands of women’s livelihoods.